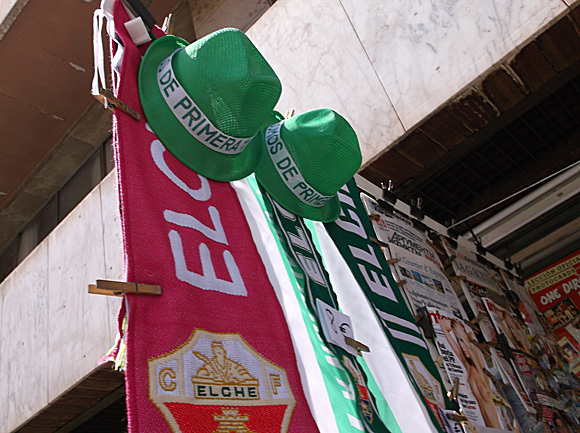 ‘Somos de Primera’ read the bands around the green hats sported by every celebrating local following the surprise Segunda title win of flagship club Elche CF in May 2013. But reaching the Primera for the first time in 24 years was one thing – staying there was achieved, just, in 2013-14. 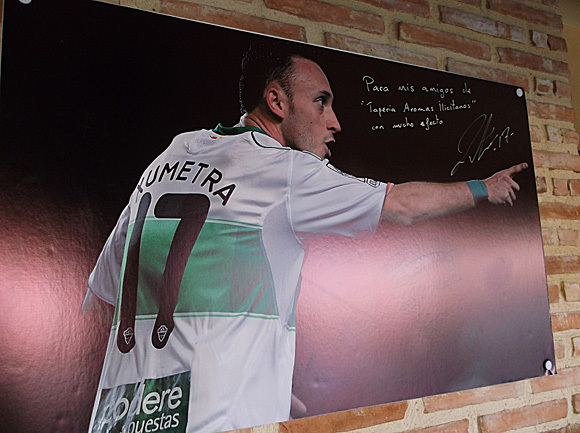 Despite a mid-table finish in 2014-15, Elche were forcibly relegated back to the Segunda because of unpaid taxes. Two years later, life became that little bit worse for the Franjiverdes when relegation came in its straightforward, simply-not-good-enough form, and Elche find themselves in the Segunda B for the 2017-18 campaign. They’re in good company – Mallorca, European finalists the last time Elche were in the third tier in 1999, are favourites to win the division. 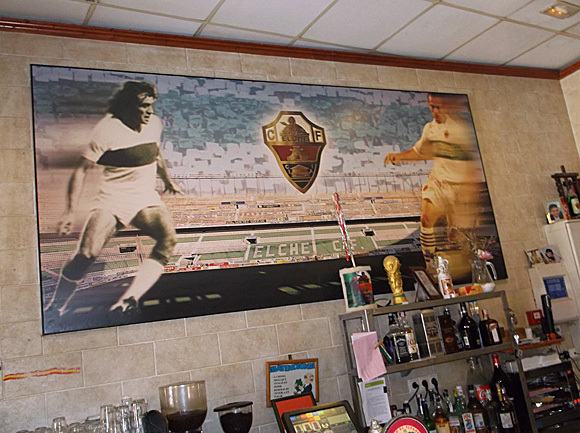 Elche had only previously spent one solid spell in the top flight, during the 1960s and the 1970s. Opening their new Albatix stadium with a game against Levante in 1926, Elche played a series of friendlies before joining the newly formed Spanish league and rising to the Segunda in 1934. Los Franjiverdes, ‘the Green-and-White Stripes’, trod water for two decades or so before gaining promotion in 1959. They were headed by César Rodríguez, the highest goalscorer in the history of FC Barcelona until Messi broke his record in 2012. Although at the end of his career, ‘César’ scored a goal every other game for Elche, even coaching them at the same time. Shoe baron Manuel Martínez Valero soon arrived as club president, and his funds allowed Elche to buy quality players such as Spanish international striker Vavá II and goalkeeper José Araquistáin, who had won the European Cup with Real Madrid in 1966. Locally born midfielder Juan Manuel Asensi was just starting his career at Elche before a decade in Barça’s colours. 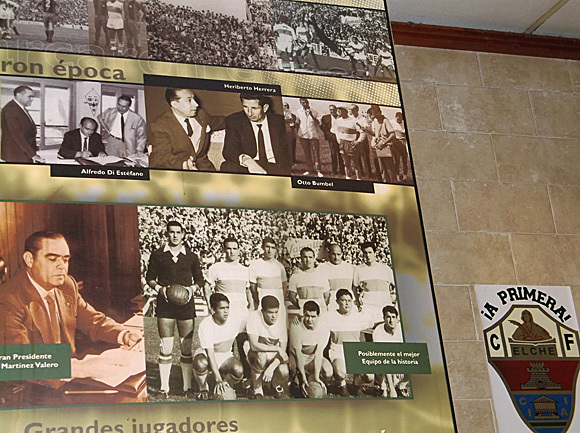 Elche spent a near unbroken two decades in the Primera. In 1969, it took a moment of genius from Javier Clemente for Elche to succumb to Bilbao in the closing minutes of the Spanish Cup Final. 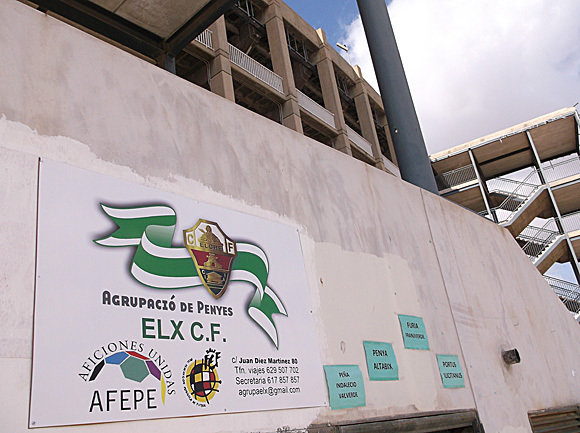 All fell by the wayside when money began to be set aside for Elche’s new stadium. Two years after Elche and Mexico opened the Nou Estadio – later named the Manuel Martínez Valero – the Franjiverdes were relegated. Stuck out on Elche’s city limits, the Manuel Martínez Valero looks every bit like an incongruous prop from a film set of a spaghetti western. Holding 36,000 spectators in three rings, the originally named Nou Estadio was part of a grand plan by long-term Elche club president Valero to construct a sports complex here. 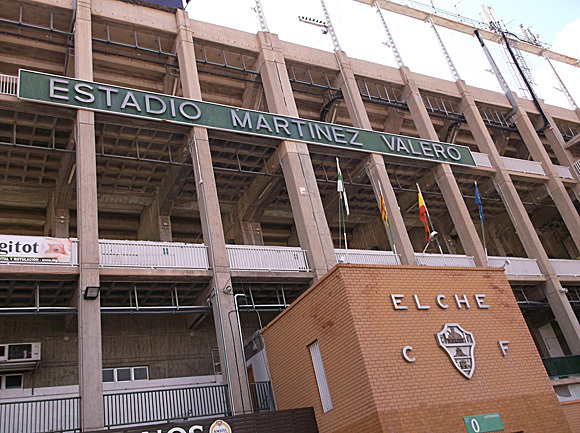 Valero had taken over the club in 1962 and presided over their most successful years, when top-flight Elche packed out the Estadio de Altabix. A new stadium was needed. When the ‘New Stadium’ was opened, with a friendly against Mexico in 1976, Elche were in decline and would be relegated two years later. But with Spain having been granted hosting of the 1982 World Cup in 1966 (! 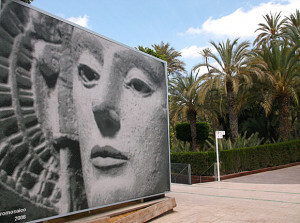 ), and the finals expanded to 24 teams, Valero had succeeded in proposing Elche as a tournament venue. In the end, the upper tiers added for a 50,000-plus capacity were hardly needed, El Salvador, Belgium and Hungary not proving a big draw for the Illicitano public. Renamed after Valero’s death in 1988, this colosseum of a ground was later modernised, with individual seating in Elche green, reducing capacity to its current level. Today the arena has a dozen bars and nightspots built into it and is busy most weekdays. The Fondos behind the north and south goals are divided into uncovered, covered and upper ring seating. Away fans are allocated the Anillo Superior Fondo Norte, high up over the north goal, accessed through gate 18. The main stand, Tribuna, also features an uncovered lower section nearest the pitch – as does the Preferencia opposite. Seating is also available in each corner or Curva. 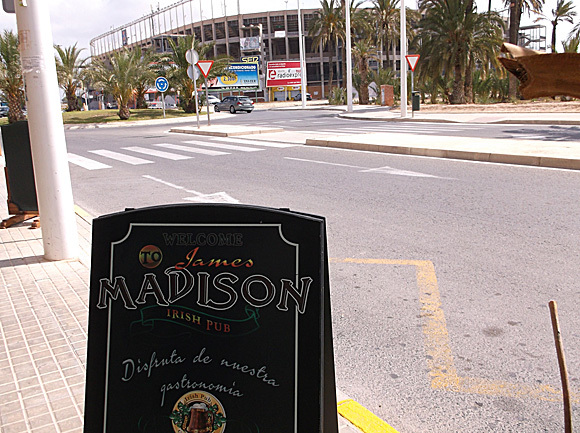 The Estadi Manuel Martínez Valero has its own bus stop (No.261) outside the James Madison pub by the stadium – only used 1hr before and up to 30min after the match, and on market-day mornings. Bus E (every 10-15mins) runs from Vicente Blasco Ibañez, a short walk from Carrús train station, on the other side of the road from the Bar Nobel. It’s 13/14 stops (allow 20-25mins) to the terminus at Avg. L’Altet 1/2, where the bus loops round. 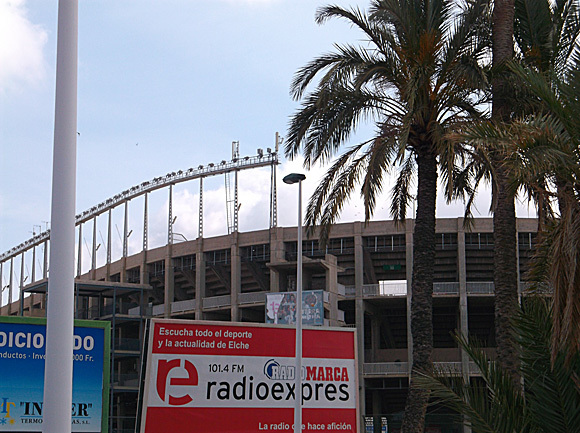 From there, the stadium is easily visible, a 5min walk down Avinguda de Manuel Martínez Valero. 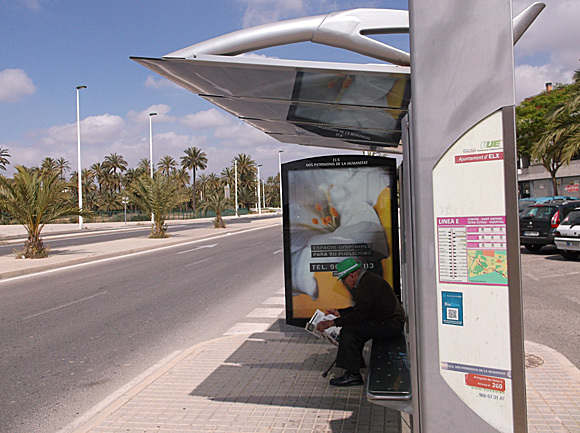 If you’re coming into Elche by bus, then service K (every 15-20mins) from the station runs to Barxell (near the Ibis Hotel), eight stops/10-15mins away. From there, the stadium is a 5-10min walk. At the stadium, tickets are sold in the run-up to match day (10am-2pm, 5pm-9pm), and from 10am on the day itself. 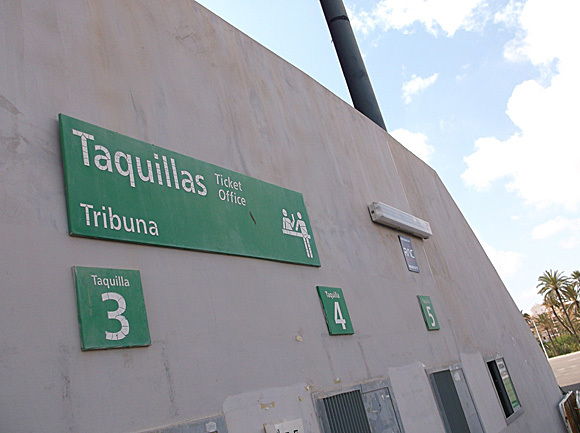 There are taquillas by the main entrance. Prices start at €35 for the upper ring behind the goal (Anillo Superior Fondo), rising to €50-€60 for the upper ring in the sidelines stands (Preferencia/Tribuna), where the best seats are €70-€80. 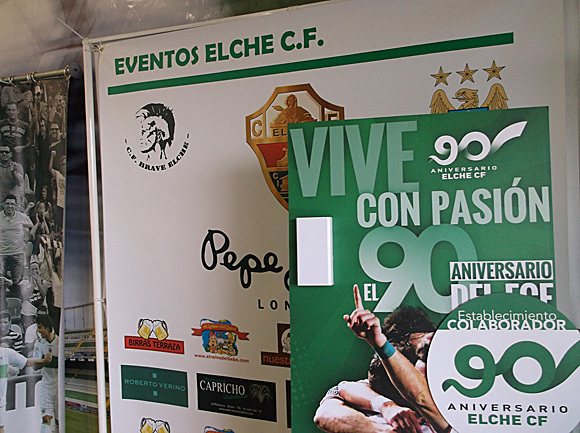 By the stadium’s main entrance, La Tienda del Elche (Tue-Fri 10am-2pm, 5pm-9pm, Sat-Sun 10am-2pm or 2hrs before kick-off) offers beachwear and sundry souvenirs tied in with the Elche’s 90th anniversary, including a thick club history. If you’re just in town for the day and can’t be bothered to head out to the stadium, then downtown Xtep carries club shirts and souvenirs. 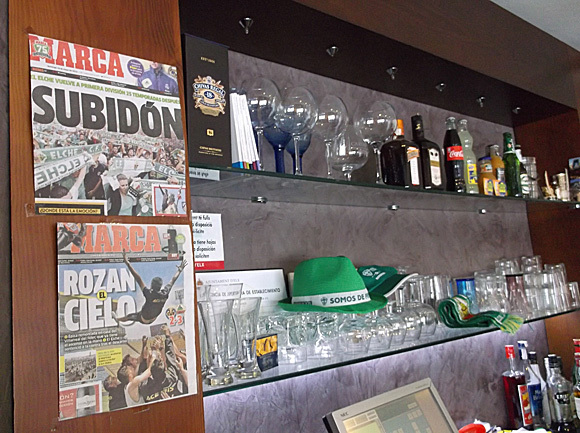 Though stuck out in the sticks, Elche’s stadium is surrounded by bars. By L’Altet bus stop, Mazorcas (Avinguda de El Altet 8) is a pleasant cafeteria/restaurant run by a lovely couple – note the splashes from ‘Marca’ displaying frenzied promotion celebrations. 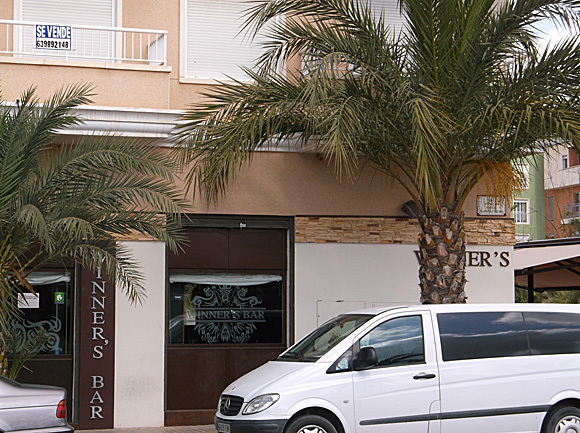 On Avinguda de Manuel Martínez Valero itself are the Winner’s Bar and neighbouring pub James Madison. The former is a standard, modern Spanish bar, with Elche banners over the counter and a terrace, while the latter offers live music, Kopparberg cider and Guinness on draught, plus a full menu. Of the several bars built into the stadium, two stand out. By the main entrance, Aromas Illicatanos attracts a younger clientele to a brick-lined interior peppered with Elche iconography. 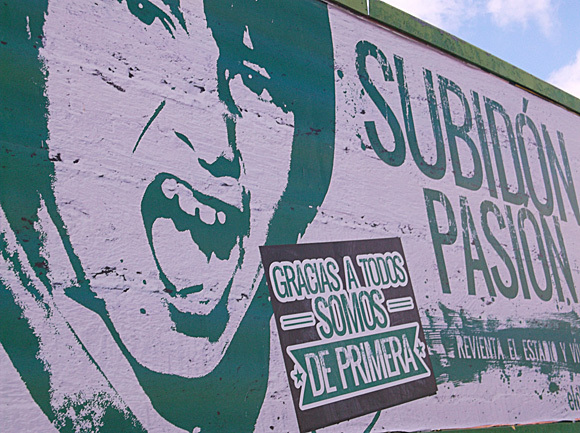 On the other side of the ground, La Trobada contains massive back-bar mural of the club’s history. There’s also a Trobada 2 beer hatch by the main entrance. 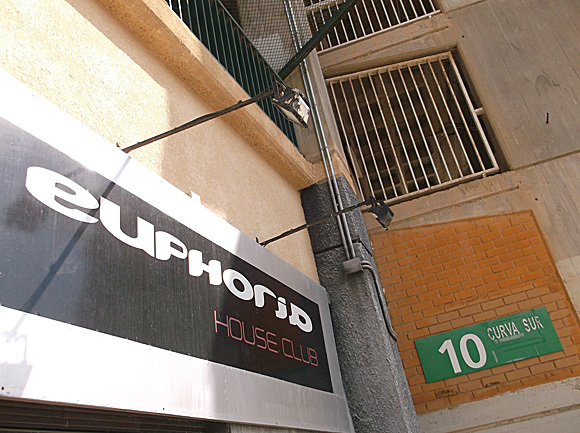 Other clubs and cocktail bars seem to operate infrequently. There’s also a corner shop, La Fábrica del Hielo, that provides a terrace for the sipping of bottled Alhambra beer.